Every year at this time gyms across the United States fill up close to maximum capacity (well not really, but it feels like it). It’s so crowded you can’t get the machine or weights you want to use. To people who have being going to the gym every day, it can be frustrating because many of those new members are not going to maintain their attendance. In fact, most will dwindle off over the next two weeks. The rest will stop coming in six to eight weeks. I love to motivate others to begin taking care of themselves through physical activity. It would be a huge win for everyone if all of these people would continue with their New Year’s resolutions/goals of maintaining an exercise program. 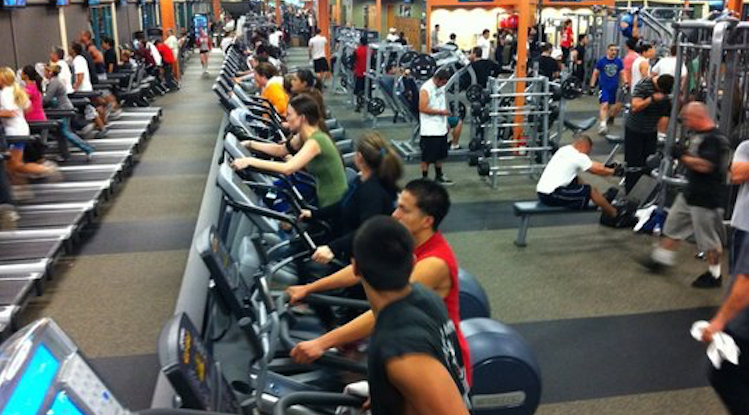 I think this is why it is so frustrating to the gym regulars. What can you do to maintain the program you have chosen for yourself this year? First, pick something that is do able; a program that takes into account your current level of fitness, even if that means you start with only fifteen to twenty minutes of activity three days a week. It doesn’t matter where you start, only that you keep going and find a way to objectively measure your progress. Watching yourself improve will help you continue to be motivated. Small improvements are still improvements, just as one mile is one mile regardless of how fast you run it. Second, find someone to go to the gym with or at least a partner who will hold you accountable. If you can’t find someone who can go at the same time, it is helpful to have someone else who is just beginning and you can check in with one another each day about what you did and how you are feeling. Third, don’t change too many things all at the same time. If you are beginning a new exercise program don’t make any other major changes to your life style for three or four weeks. Let your body adjust and get into a groove. If you change too many things, you will become overwhelmed or rebel against all the “restrictions” you have placed on yourself. Finally, don’t penalize yourself for a missed workout. Go the next day and don’t try to make up for the missed workout. You need to let the missed workout go and forgive yourself for it. Making yourself feel bad about it is not going to help you continue with the program. Remember it takes twenty-one days to form a habit. Keep going and don’t give up.